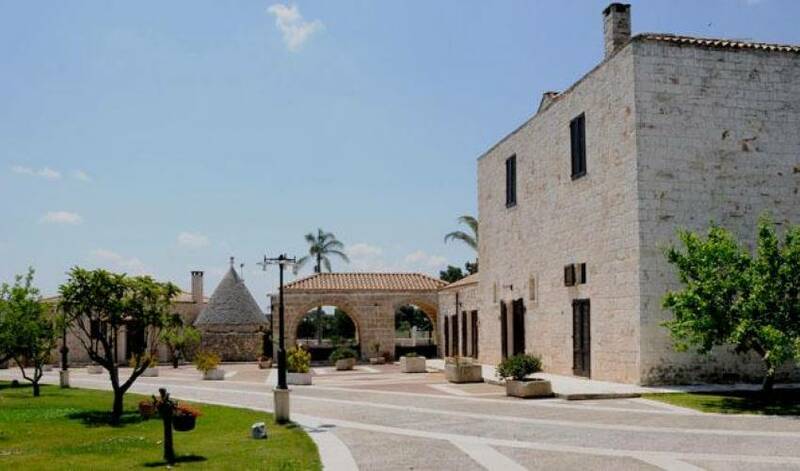 In the heart of the Itria valley, between the village Ceglie and Francavilla, you find this impressive masseria. Villa 9158 is a charming, private property that offers the opportunity to spend a holiday in the countryside, yet close to the sea. 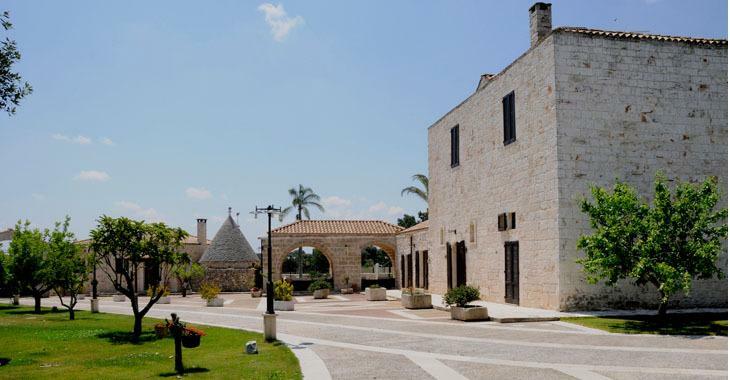 This private villa is located in the beautiful countryside, but also equidistant from two different seas that bathe Puglia; the Ionian which is on a 40km distance, really worth spending a day and the Adriatic sea on just a 25km distance from the villa. 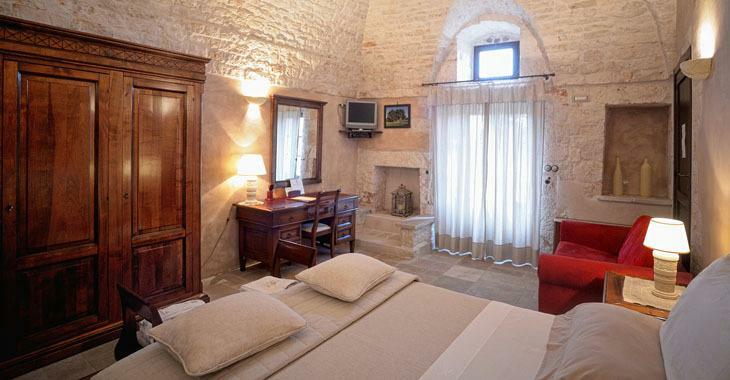 The masseria has 6 double bedrooms, each with small living area and single sofa bed. All bedrooms are decorated in a similar way and with similar spaciousness, an excellent solution for a group of friends travelling together. A magnificent large infinity swimming pool with irregular shapes, a fenced in garden decorated with centuries old trees offer various pleasant outdoor areas: facing the pool, the terrace is furnished with a dining area and comfortable couches. The walls surround the 1500 sqm garden. 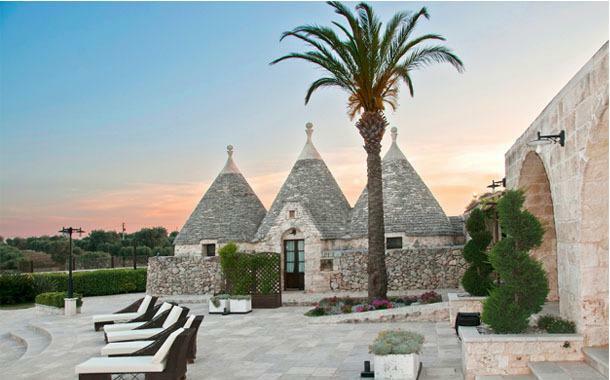 The masseria is equipped with air conditioning and Wi-Fi internet connection throughout. 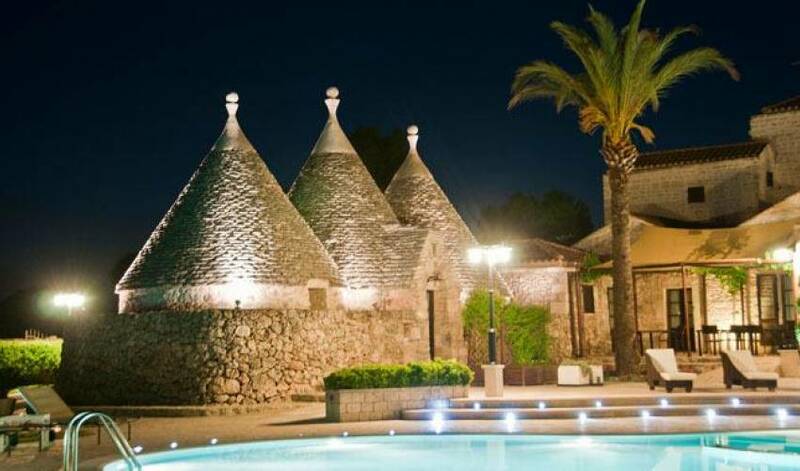 What is most striking is the way the property is built: it is a particular mix which is hard to find and includes also trulli, which are usually present in the valley as a single property: the owner used to be the headquarters of the largest land owner of the area. 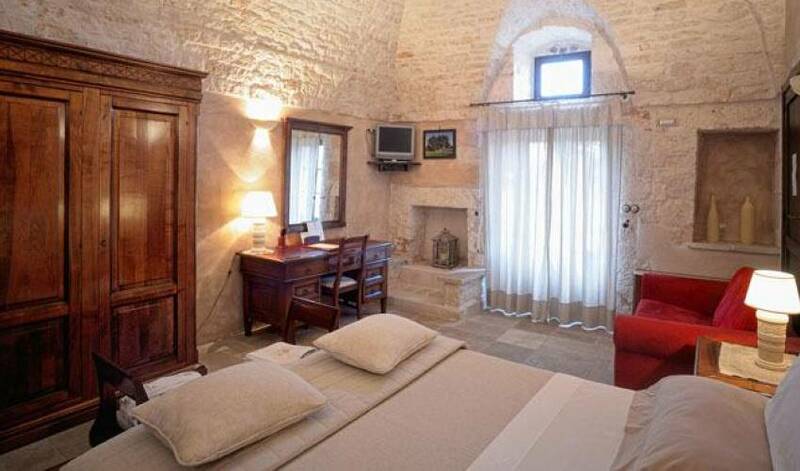 The property is built with the local white stone, which occurred around 1700. 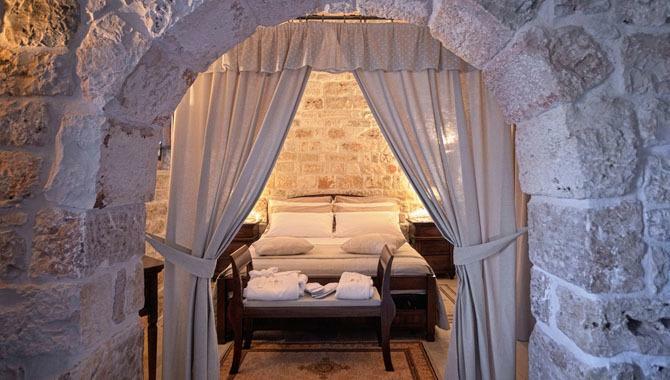 Each room of the villa is covered with this stone, in order to give a feeling of ‘natural dimensions’ to the rooms. But the most ‘memorable experience takes place outside: be seated under the porch, listening to the twittering of the birds, admiring the colours of the uncontaminated nature and smelling the perfumes of the flowers and fruits in the garden. 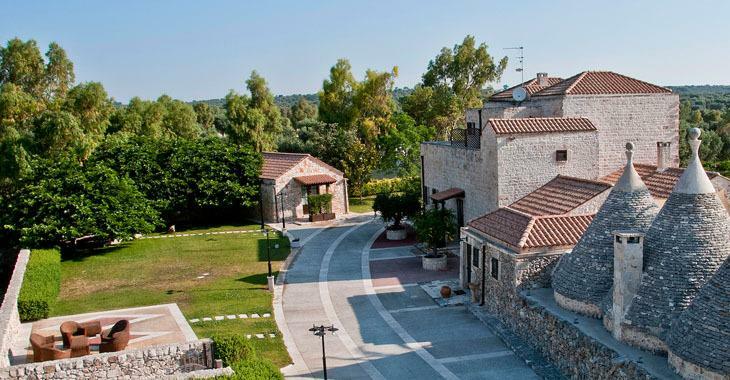 Another peculiarity of this villa is the peace you will find at this masseria: the property is in fact in the countryside, surrounded by hectares of olive trees and the typical red earth rich of bauxite. Ceglie Messapica is the town interesting for food lovers (and who is not? ), in fact right in this town you will find the cooking school of Michelin star chefs. Therefore it will not be difficult to dine at one of the many restaurants and enjoy regional or Italian dishes elaborated and refined. 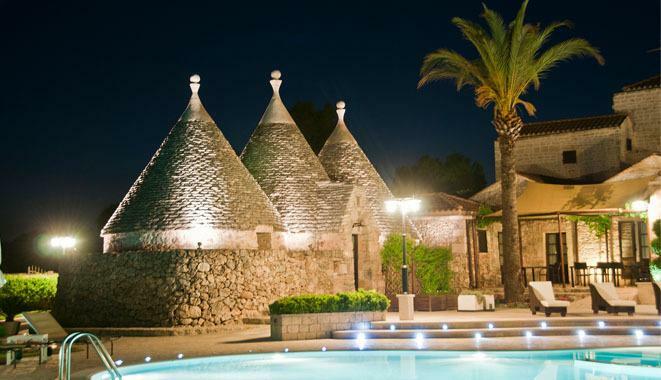 Anyway, it is not to forget that a holiday in Puglia guarantees great and lovely food! ground floor living area with 3 couches, dining room with table seats 24 and doors leading to outdoor, 2x guest bathrooms, fully equipped kitchen with direct access to outdoor. access also from outdoor: 1 double bedroom (not convertible into a twin) with kitchenette, satellite TV, safe, minibar, small living area with single sofabed and en suite bathroom with shower (only hand held shower). 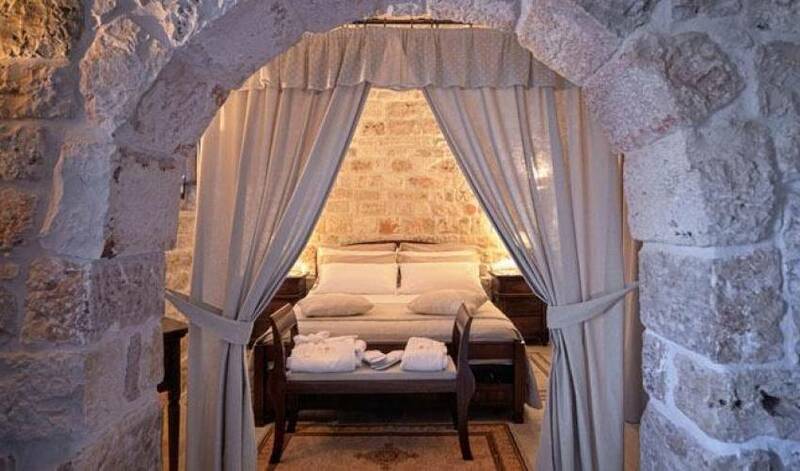 with satellite TV, safe, minibar, small living area with sofabed and en suite bathroom with shower (only hand held shower). 1 double bedroom (not convertible into a twin) with satellite TV, safe, minibar, small living area with single sofabed, access towards outdoor terrace and en suite bathroom with shower (only hand held shower). 1 double bedroom(not convertible into a twin) with satellite TV, safe, minibar, smal living area with single sofabed, access towards outdoor terrace and en suite small bathroom with shower (only hand held shower). original trullo: 1 double bedroom (not convertible into a twin) with small living area, fireplace and single sofabed, satellite TV, minibar, safe and en suite bathroom with bath tub hydromassage. 1 double bedroom (not convertible into a twin) with small kitchenette, living area with single sofabed, satellite TV, minibar, safe and en suite bathroom with shower (only hand held shower). fenced in garden of 1500sqm, outdoor dining area for up to 20 people. 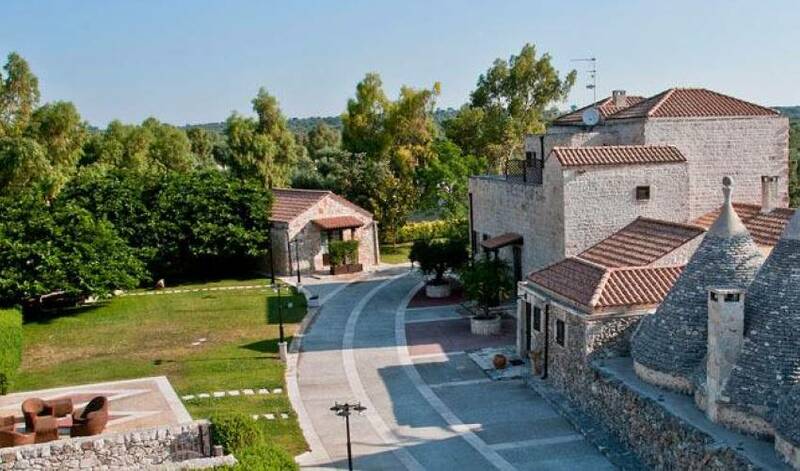 1km/0,6miles, tennis court Ceglie 6km4miles, nearest highway E90 12km/7miles, golf course Fasano 50km/31miles. 50km/31miles, Polignano a Mare 60km/37miles, Lecce 80km/50miles. the keyholder lives on the grounds in a seperate apartment at the pool area. Non smoking property, not suitable for disabled people, pets allowed. trains: Ceglie Messapica 6km/4miles, Ostuni 20km/13miles.